Your glasses must not exceed 160mm in height, if so you will need to choose a different box from our glass storage box collection. Why use Wine Glass Storage Boxes? Ideal for: Glasses between 121mm and 160mm in Height. 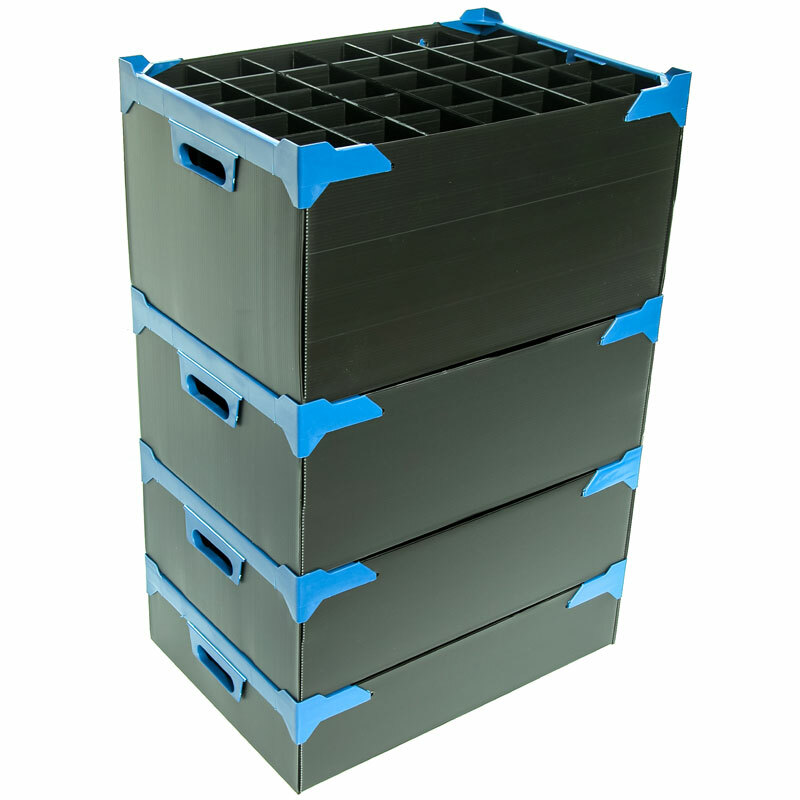 Our glass storage boxes are made from 4mm ridged fluted plastic 650gsm, these are one of the most durable correx glasses boxes available. Ideal for using either at home to store your glasses and in a restaurant / catering environment. Glass Storage Box Lids are also available, they're a great way of keeping your glasses dust free. Please Note: This box is the perfect fit for Luigi Bormioli ISO Type Wine Tasting Glasses 21.5cl, please select 35mm cell.